When the Fox Mustang was released in 1979, Ford enthusiasts were thrilled with the re-emergence of a properly proportioned Mustang with a renewed focus on V8 performance. Few anticipated that a Special Vehicles Team version would appear in 1984 with a turbocharged 4-banger that was (maybe?) faster, certainly more expensive and potentially cooler than the V8. All we know is that Ford beat the rest of the world's sporty-ish regular-people cars to the modern paradigm of a fuel injected turbo-4. 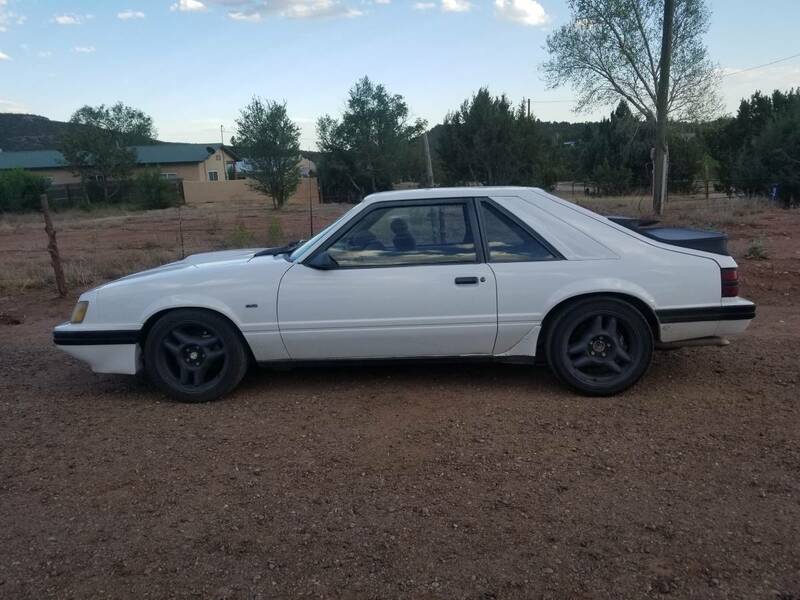 Find this 1986 Ford Mustang SVO offered for $4,500 in Santa Fe, NM via craigslist. Tip from FuelTruck. 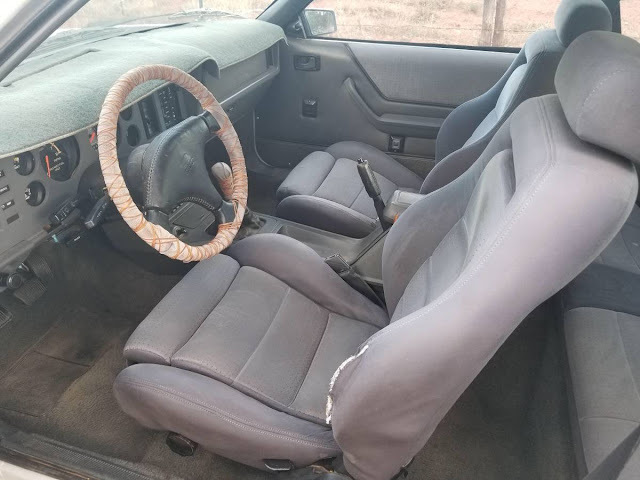 1986 Mustang SVO 3 door, 5 speed manual transmission, 4 cylinder, 2.3 litter engine with turbo, new master cylinder, and timing belt also has a brand new pioneer radio. NO TRADES. The 'Beyond Thunderdome' steering wheel cover is a nice touch. See, and here I was thinking the wheel was wrapped in the used chewing gum of whoever was behind the wheel the moment their Beech-Nut lost that last iota of flavor. Which is between 24 and 63 seconds after you start chewing Beech-Nut, if memory serves.